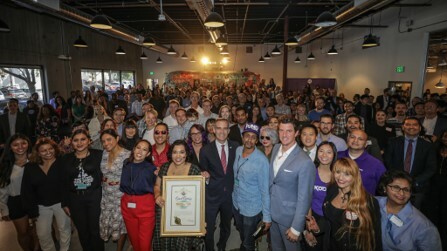 (Los Angeles, Ca) State Senator of the 27th District, Henry Stern (D – Canoga Park), and Los Angeles Mayor, Eric Garcetti, kicked off Manufacturing Week with the grand opening of Toolbox LA, a cutting-edge, community driven shared workspace facility to help creators succeed in advanced manufacturing jobs for the future. The San Fernando Valley had led the way in the aerospace industry for decades and now hubs like Toolbox LA will prepare young entrepreneurs and inventors to shape the future of our society and economy. On their tour, Senator Stern and Mayor Garcetti met with innovators in biotech, 3D printing, interactive holograms, and robotics. Toolbox LA offers a shared, community-driven workspace for location-independent workers. Their coworking spaces empower creators and technology-enabled startups with resources to collaborate and build their businesses. 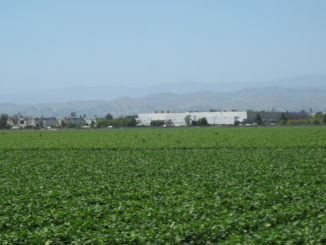 Toolbox LA resources include a makerspace, hardware accelerator, biotech incubator and event space. Whatever happened to Dominic & Gianna Conti? Candidate Forums: Bias or Balance? CVUSD Declining Enrollment: Where Have All The Children Gone?